also said 61 cases have been confirmed. According to the agency, 10 health care workers have been infected in four states. Seven died in Ebonyi. One in Nasarawa. One in Kogi and one in Benue. A statement by the agency reads: “Following the increasing number of Lassa fever cases reported from several States across the country, the Nigeria Centre for Disease Control has activated its Emergency Operations Centre (EOC) to coordinate the response to the outbreak on behalf of the Federal Ministry of Health. “The EOC has deployed Rapid Response Teams to the most affected States- Ebonyi, Ondo and Edo States. The RRTs are supporting the States in response coordination, contact tracing, case management, risk communication and strengthening infection prevention and control practices. Emergency supplies have also been sent to treatment centres in all affected States. “Since the beginning of 2018, a total number of 107 suspected Lassa fever cases have been recorded in ten states: Edo, Ondo, Bauchi, Nasarawa, Ebonyi, Anambra, Benue, Kogi, Imo and Lagos States. As at 21st January 2018, the total number of confirmed cases is 61, with 16 deaths recorded. Ten health care workers have been infected in four States (Ebonyi – 7, Nasarawa – 1, Kogi – 1 and Benue – 1) with three deaths in Ebonyi State. 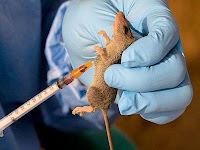 The agency went on: “Lassa fever is an acute viral haemorrhagic illness, transmitted to humans through contact with food or household items contaminated by infected rodents. Person-to- person transmission can also occur, particularly in hospital environment in the absence of adequate infection control measures. Health care workers in health facilities are particularly at risk of contracting the disease, especially where infection prevention and control procedures are not strictly adhered to. “Lassa fever can be prevented through practicing good personal hygiene and proper environmental sanitation. Effective measures include storing grain and other foodstuffs in rodent-proof containers, disposing of garbage far from the home, maintaining clean households, and other measures to discourage rodents from entering homes. Hand washing should be practiced frequently. “Health care workers are again reminded that Lassa fever presents initially like any other disease causing a febrile illness such as malaria; and are advised to practice standard precautions at all times, maintaining a high index of suspicion. Rapid Diagnostic Test (RDT) must be applied to all suspected cases of malaria. When the RDT is negative, other causes of febrile illness including Lassa fever should be considered. Accurate diagnosis and prompt treatment increase the chances of survival. The Bayelsa State government yesterday said it had taken measures to protect residents from the spread of Lassa Fever. Commissioner for Health Prof. Ebitimitula Etebu said though no case of the fever had been reported in any part of the state, the government rolled out programmes to stop outbreak of Lassa fever in the state. Speaking while presenting his ministry’s scorecard at the ongoing Inter-Ministerial/Agency Briefing at the Gabriel Okara Cultural Centre, Yenagoa, he said the people were being sensitised on the need to maintain hygienic environment. He said: “There is no reported case of Lassa Fever in any part of the state but our people need to be conscious of their environment and if there is any incident of the disease, please report it to the nearest hospital for prompt attention. No fewer than three persons have been confirmed dead following the outbreak of lassa fever in Imo State. Commissioner of Health Dr Angela Uwakwem confirmed the deaths in a chat with The Nation. According to her, “lassa fever is in Owerri. It has been confirmed”. The commissioner disclosed that the three persons who contacted the deadly virus, died after they were referred out of the Federal Medical Center (FMC) Owerri. The Chief Medical Director of the FMC, Dr Kingsley Achigbu, disclosed that the lassa fever victims who were referred to the hospital were later referred out. Governor Rochas Okorocha said the state government has taken necessary steps to bring the situation under control. Okorocha said: “This morning we woke up to hear that Lassa fever has killed three persons and we also have seven cases of Lassa fever patients and this number is too large for a State. And we are concerned about the speed of spread. These cases were recorded in some hospitals, somewhere in Orlu and some other parts of the State. For this reason, we kindly advise that people should avoid over crowded areas, lessen the shaking of hands, and body contacts at this period. “You are aware that Lassa fever is caused by some species of rats. The state is on it. The Ministry of Health has been adequately informed to take all necessary steps to curtail the spread. But as this number has risen this morning, we advise that people should avoid as much as possible some foods and body contacts especially in schools and market areas.